Nilson of Rio de Janeiro combines Uno Alla Volta's most popular styles to create this pendant necklace featuring natural amethyst, quartz and citrine gemstones. Nilson hand-sculpts each necklace in brass before plating in lustrous chrome and hand-setting each pendant with the perfect crystals. Each adjustable pendant necklace is masterfully handcrafted, one at a time, from the hearts and hands of artisan. Nilson's amethyst and citrine necklace measures 6 inches x 5 inches and suspends a 2.25 inch pendant. Born in one of Rio de Janeiro’s most dangerous slums, Nilson dropped out of school at age 15 to help support his family. Apprenticed to a brass artisan, he soon discovered his own creative talents. 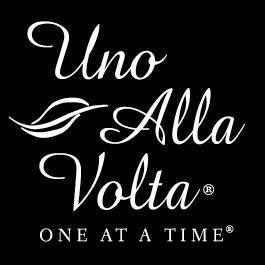 When a Connecticut couple discovered him and helped him create a sustainable business, Uno Alla Volta's customers immediately fell in love. Together, we are enabling Nilson to transform the life of his family, and many of his friends and neighbors as well.